I'm always interested in cancer research and recently I became very interested in open data. Open data is a great tool. It's based on sharing the knowledge. And this is always very good. Mainly for research that is collaborative. Sometimes this is not easy because of the competition, mainly in the biomedicine field. This open science is increasingly growing but it won't succeed if only few scientists are involved in it. When I took part in the SciFund challenge one of the rewards I was offering was to write a blog post about whatever (related to science) the contributor wanted. 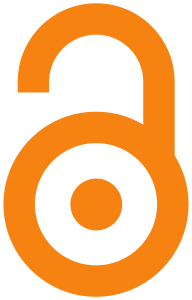 Well, Frederic Baud, one of the contributors of my project asked me if I could write a post about open science, so here it is. The open science movement is fighting to make scientific research – especially publicly funded research – more transparent, freely accessible and reusable. And I want to encourage scientists to share their research and be part of this movement. As I said before it may not be easy but there are many good examples of very successful projects that were based in this open philosophy. The one I want to show you here is about the development of a new drug to treat some types of cancer. I heard of it trough Mark Hahnel, the founder of Figshare, a platform for scientists to share their research under a Creative Commons license. The example is from Jay Bradner who presented it in a very good way in his TEDxBoston talk. He will explain how this worked for him better than me so here you have his talk. And this is not an isolated example. Really. We can increase the number of successful cases if we, scientists, decide to take part in the open science movement. Not only for our own benefit, but also for the benefit that society can get from it. If you're interested in open source drug discovery then take a look at the malaria project I'm leading. Very much on open source principles, in that all data and ideas are freely shared and anyone can participate. No patents. How is it different from what is usually done? I don't get it. They share the information via publication of an article, so they still get a benefit (an "academic" benefit). They did not share the information as soon as they got it, but waited until the paper was published. I am not criticizing it, is just that I don't really see how the movement works.